Anthony Kalai (Papua New Guinea) joins the Pacific Desk with three years experience in aviation weather forecasting. He earned his WMO Class One Meteorologist Certificate from the Philippine Atmospheric, Geophysical and Astronomical Services Administration (PAGASA). He also holds a Science Degree in Physics from the University of Papua New Guinea. 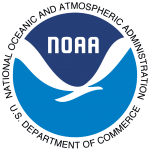 Since successfully completing the Meteorologist Training Course in 2012, he has attended several short training courses on weather and climate. Charlie Vulum (Papua New Guinea) is a meteorologist specializing in aviation and public weather forecasting with the Papua New Guinea (PNG) National Weather Service. Charlie graduated from the University of Papua New Guinea in 2011 with Bachelor of Science (BSc) in Electronics, Computing and Communications under the Physics Department. Upon graduation, he joined the PNG National Weather Service as a cadet meteorologist. In year 2012, he attained his WMO (World Meteorological Organization) Class (I) certificate in meteorology from the Philippine Atmospheric, Geophysical and Astronomical Services Administration (PAGASA). Apart from forecasting duties, Charlie developed and maintains the PNG National Weather Service’s website. Seru Kolinio (Fiji) has over eleven years of extensive experience as a Meteorological Technician directly involved with the Forecasting division of the Fiji Meteorological Service. He attained his WMO Class IV Basic Observing Certificate and Q-1 Meteorological Certificate whilst in the course of his employment with the Fiji Meteorological Service. Prior to the latter he has also participated in numerous Governmental workshops and In-house training. He has also graduated with a Certificate IV in Front-line Management and a Trade Diploma in Front-line Management from the Fiji National University. Seru served in the remote island of Kadavu for three and a half years issuing timely and accurate synoptic reports during his service of duty and importantly during adverse and severe weather. Having weathered the conditions on a remote island has seen him gain valued experience of the ever-changing climatic conditions. Seeing first hand the detrimental effects of the global warming crisis affecting the world over, yet significant in remote Pacific island nations. As an Aviation Technical Officer Class 2 his primary task is to facilitate all airlines domestic and International alike with relevant weather information as per International Civil Aviation Organization (ICAO) regulations. Apart from these, he lives with his family in Nadi, and married with three children. He rates some of his most enjoyable moments as sharing his time with close family members and friends. He lists his other interests and leisure activities in agriculture, snorkeling, hiking and socializing.